Shale shaker is the kernel device in any solids removal program. Screens as the most cost spare part of shale shaker are very concerned by engineers. For maximum efficiency, the solids on the screen surface must travel in a predetermined pattern "spiral, elliptical, orbital or linear motion" in order to increase particle separation efficiency and reduce blockage of the screen openings. So both screen cloth and frame must be reliable to fit different solids in various drilling circumstances. Generally, the materials of screen cloth is stainless steel and polyurethane. 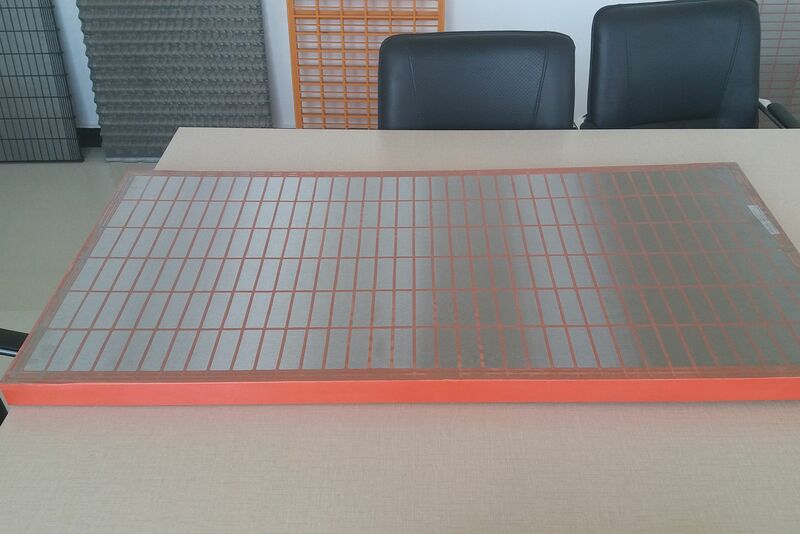 There mainly has two materials component screen frame: steel, composite frame. 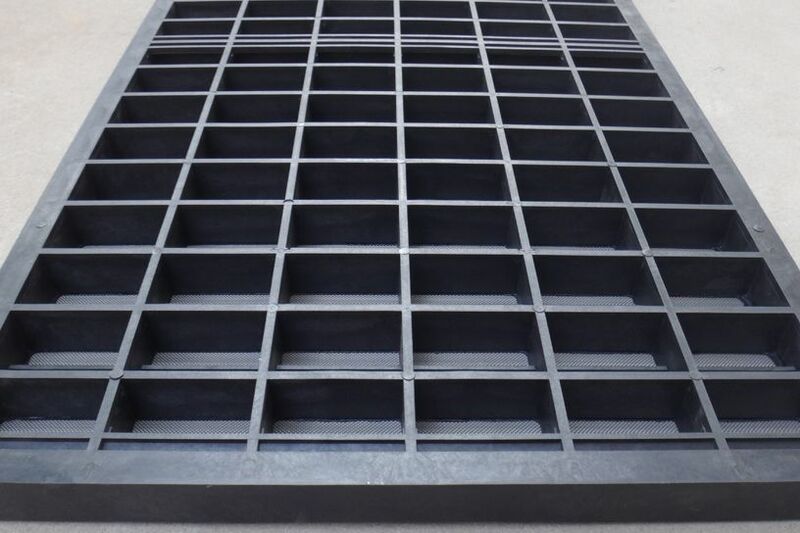 We, Aipu solids control has 15 years experience manufacturing shale shaker screen. Our Screen has been tested under API RP13C. 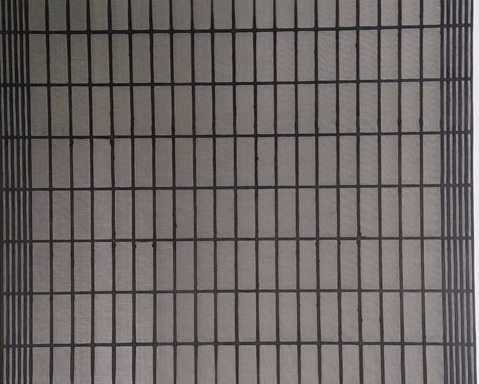 We are only China screen manufacturer got API RP13C compliance report. Trust the accurate cut point will lead better performance and longer service life of screen. 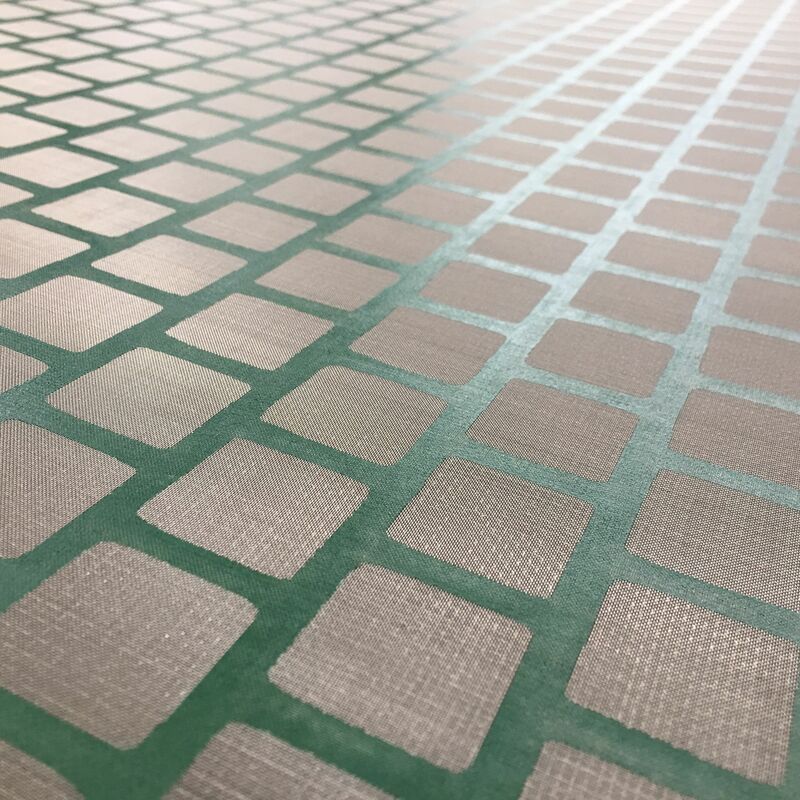 Our engineers and design professionals can help supply shale shaker screen with a variety of mesh ranges for certain application during whole well drilling process. Aipu featured new products include replacement composite screen for Mongoose shaker for Cobra series screen, etc. 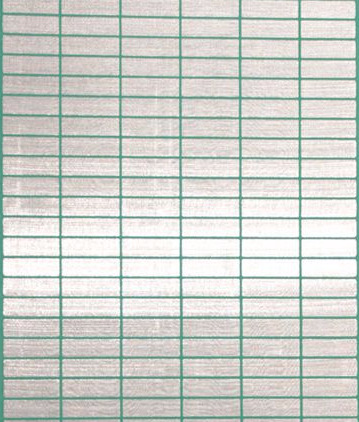 The layers of stainless steel wire mesh are well arranged to achieve optimum filtration efficiency and conductance. Why Choose Right Shale Shaker Screen is Important? Because it's related to your money. You choose the wrong screen, cost high and lower efficiency of drilling rig. You choose right one, you get high efficiency of solids control results and pays less money. There is an balance between cost and efficiency. Available on flat and pyramid screen panel. Each shaker is usually fit with 3 or 4 panel screen. Screen panels can be fixed steadily by tensioning bolts and draw bar. Easy to operate and install. Furthermore, the Hunter-D screen is interchangeable with 48x30 screen. The screens are completely interchangeable with original Mongoose screen as well. Our clients are rather happy with our screen quality and the shaker performance. On shaker, prior to delivery we’ll install composite screens on shaker as standard configuration. These types screen from Aipu is designed for shaker screens and serves as a direct replacement for below screens. Our screens are guaranteed to fit perfectly on your shale shakers. We'll even BEAT THEIR PRICES BADLY. FLC 2000 (48x30), DP 600, FLC 500, HYP, U - screeens could be provided. NOV's screens like VSM300, Cobra and King Cobra LCM could be provided. KTL-48, KPT, Kem-Tron, FSI 5000 Customized Polyurethane or coarse stainless steel screen could be provided. We used A572 GR50 and A36 steel to create Steel screen frame. Throughout all the processes (laser cutting, saw cutting, drilling, rolling /bending, MIG welding and mechanical assembly) we held tightest tolerances of ±.030. Customerize steel frame size available. Composite screen frames consist of a high strength plastic and glass composite material that is reinforced with high-tensile strength steel rods. Customerize Composite frame size available. Polyurethane screen can provide a ramp which helps to maximize screen washing capabilities. 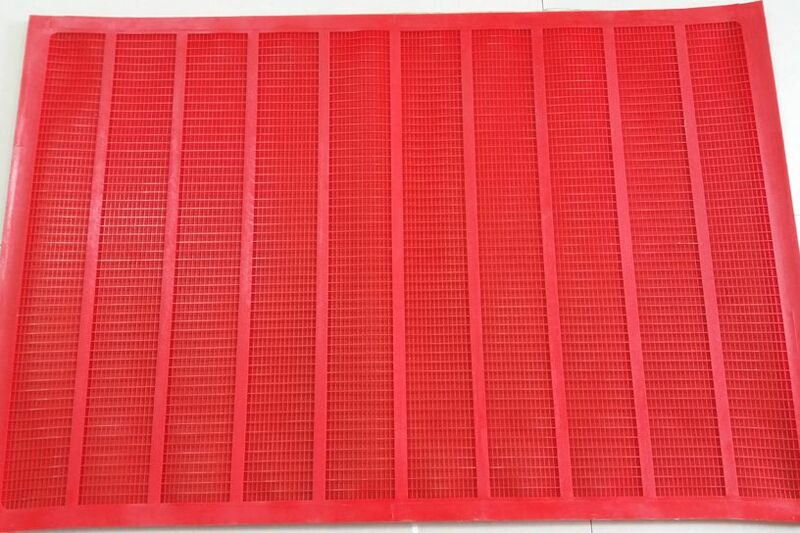 Polyurethane screen has long service life and low noise. Various polythane screen size available. * All materials of screens wire are SS304 or SS316, except polyurethane screen. *Mesh types please read Screen cloth types. *Quality standard comply with API RP 13C. * PWP = Flat panel; PMD = Pyramid panel; PTP = pretensioned panel. *There are probably hundreds of different shale shaker screens on market and no place to show them all. So if you have any confusing. Feel free to E-mail or call us at any time for additional product help or a quote. was conducted 10 flat shale shaker screen provided by a representative of us (Shaanxi Aipu Machinery Manufacture Company). The nonblanked area was also estimate for the 10 screens. (see report). Main of the results of the API RP 13C Shaker Screen Sieve and Conductance Testing and non-blanked area mud retained results. Please see right side. There are mainly two materials used in shale shaker screens today. 1. Stainless steel wire (S.S304 ~ S.S316L). size and shape. 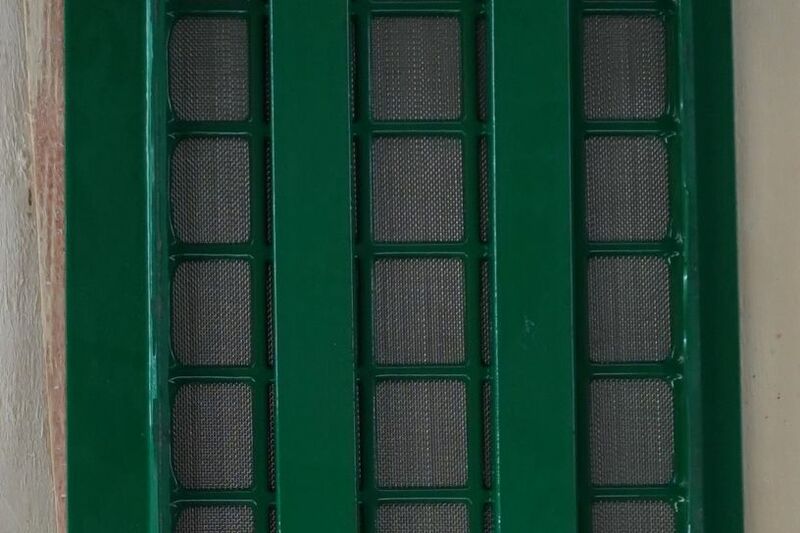 Layered screens have two or more fine mesh screen cloths, usually of different mesh (reinforced by coarser backing cloth), mounted on a screen panel. These screens will have openings that vary greatly in size and shape. There are several types of wire cloth used in the manufacture of oilfield screens. 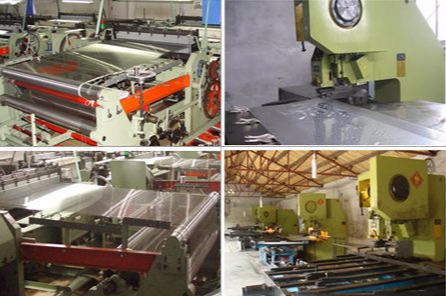 The most common of these are Market Grade (MG), Tensile Bolting Cloth (TBC), Triple Layer Super Fine (TRSF or DX) and Extended Rectangular (ER). 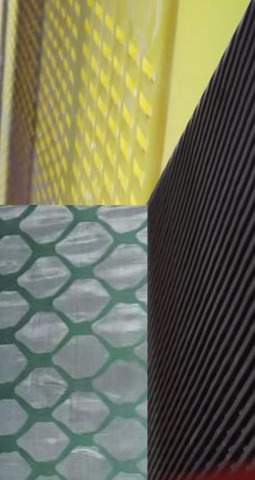 These are square mesh weaves, differing in the diameter of wire used in their construction. MG:Single Layer Screen Mainly used as a scalping screen. TBC:Single layer Tensile Bolting Cloth over a heavy support mesh Well defined cut point Poor blind resistance. TRSF/DX:Two superfine layers over a heavy support cloth Good screen life Good blind resistance. XR:Two oblong-aperture cloth layers supported by a square mesh High conductance Long life Good blinding resistance. Screen Capacity, or the volume of mud which will pass through a screen without flooding, varies widely depending on shaker model and drilling conditions. Drilling rate, mud type, weight and viscosity, bit type, formation type, screen mesh all affect throughput to some degree. To increase screen capacity without increasing the size or number of shale shakers, three-dimensional screen panels are available. and decreases fluid loss. Typically 3-D screen is Pinnacle shaker screens replacement. Standardization of screen cloth designations has been recommended by the API committee on Standardization of Drilling Fluid Materials. The purpose for this practice is to provide standards for screen labeling of shale shaker screen cloths. The procedures recommended for labeling allow a direct comparison of separation potential, the ability to pass fluid through a screen, and the amount area available for screening. What is the D100 and how is it related to the API screen designation? The D100 value represents the diameter of the coarsest particle (in microns) which will pass through the screen during a dry laboratory test and is a single number, not a range of sizes. The API screen designation for a screen is the API-defined range of sizes into which the D100 value falls. Some of the coarser size classes span quite a large range of D100 values. What does/doesn’t the D100 tell us? The D100 value is the finest particle diameter at which the screen no longer sends 100% of the particles to the discard stream. This is also the coarsest particle that will pass through the screen. The D50 value is the particle size at which the screen sends 50% of the particles to the “overs"(discard), while the remaining 50% report to the “unders"(undersized stream) and the D100 should not be compared in any way. The D50 was interpreted as the micron size where a screen makesa 50/50 split. The API RP 13C D100 is a very specific value determined from a carefully-controlled laboratory procedure so that any laboratory should measure the same value for any given screen cloth. Will a screen with a D100 of 110 microns remove solids finer than 110 microns? Should I use the old screen number or the new API screen designation when ordering replacement screens? Aipu intends to remain completely flexible and will accept orders according to the system that customers prefer. Orders may be placed using either the old nomenclature or the new API screen designation. What is the practical value of the new API RP 13C screen labeling practice to the end user? The new API RP 13C labeling practice provides an excellent standard and benchmark for comparing one screen manufacturer’s screen separation against another. The closer the D100 values, even within the same size class, the better the comparison will be. Aipu will work with customers to ensure that screen comparison tests are performed in a fair manner to both the competition and to Aipu, allowing the development of a balanced test plan, including a double-blind particle size analysis protocol, whenever a screen comparison is to be conducted. Why is there such a great variance between the old and new screen labeling values? The biggest variation is due to the shift from the D50 value to the D100 value. The previous test procedure for screens, API RP 13E, measured the distribution of the screen holes as measured by light, not solids. Subsequently, the screens were labeled using the D50, D16 and D84 separation curve. The current test procedure, API RP 13C, measures the coarsest particle which passes through the screen, using a much more accurate and repeatable test method. The screens are now labeled using the D100 size criteria. Maintaining your shale shaker screens is as important as the screen selection itself. Any screen’s service life can be maximized through proper selection and maintenance. Proper screen maintenance starts with regular inspections. Look for tears, signs of blinding, and gaps between the screen mesh and frame. After inspecting the screen, clean it off if needed. The cleaning method will depend on your material and process and can range from light brushing of dry, lightweight particles to power-washing of heavy or cohesive particles from the screen. How to select screen mesh and steps of maitain? Usually, when the shale shaker is first stage solids control equipment the shaker screen can be 30-100mesh. When the shale shaker is a part of mud cleaner, the shaker screen for the cleaner will be 80-200mesh then. Of course, the selection is relative with drilling mud property and our working condition at the drilling job site. 2) After every operation, the shaker frame and screen should be flushed by water (summer) or steam (winter), there should be not much sediment on shaker frame and shaker screen. Especially when the drilling mud has large viscosity and high density or screen is finer than 60 mesh. How to replace shale shaker screen? During operation, while the screens are broken , or cannot separately well, it then should be replaced by other shaker screen. Aipu shaker screen can make high quality shaker screens for its own brand shale shaker as well as other famous brand. And also, Aipu can customize screens according to clients certain requirements. Select a screen with a smaller opening. Hole or tear in screen Replace shale shaker screen. Off-spec end product: too many fines Screen opening too small Select a screen with a larger opening. Upper screen opening too small Select an upper screen with a larger opening. Lower screen opening too large Select a lower screen with a smaller opening. Screen blinding Wire diameter too heavy Select a screen with a lighter wire diameter. Worn sliders or balls Check antiblinding devices and replace them as needed. Screen blocked with material Clean or replace screen. Short screen life Wire diameter too light Select a screen with a heavier wire diameter. Improper handling Be careful not to crease or dent screens during handling or installation. Screen corroded Instead of stainless steel wire mesh, try alternative alloys or use a screen made of a synthetic material. Screen blinding occurs when some or all of the screen’s open area is blocked by mud. This may be caused by a too-high feedrate that solids onto the screen faster than the screen can operate. Or it might be caused by poor screen selection for example, choosing a screen with too heavy a wire diameter. Or it might be caused by your mud’s characteristics, such as cohesiveness. Blinding is often behind a gradual degradation in your shale shaker performance.